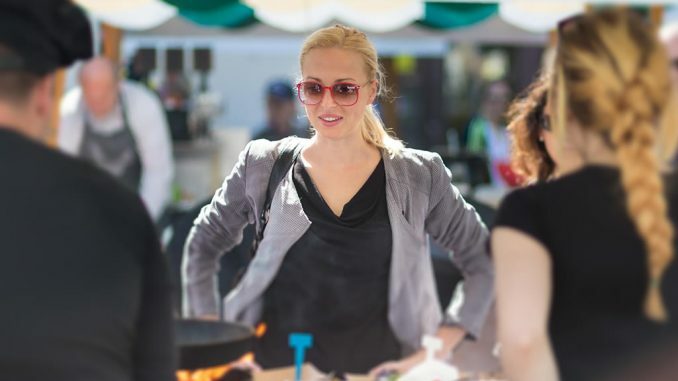 Tralee Food Festival 2018 is the second year of this three day event where Tralee food producers, restaurants and chefs are showcased. As well as a mind boggling variety of dishes, visitors can experience lots of other entertainment, competitions, expos, cookery demonstrations and lots more. Take 3: Starter, Main Course and Dessert in 3 different restaurants. Taste Trail: Enjoy a specially prepared taster dish in any of the 26 stops along the trail for just €2 each. Participating venues include Thae Ashe Hotel, Chopins Cafe, Mozart’s Tapas, Baily’s Corner, Turner’s Bar, Ugly Mug, Benner’s Hotel, Paddy Macs, Wild Café, The Imperial Hotel, Denny Lane Bistro, Quinlan’s Fish, The Daily Grind, Maddens, House of Coffee, No. 4 The Square, Croí, Yummy Café, John Doughs, The Abbey Inn, Kirby’s Brogue Inn, Yogoland, Garvey’s Supervalu, Tralee Farmer’s Market, The Little Cheese Shop, Tamarind Thai. Signature Drinks: Various special drinks including craft beers and local coctails in 9 bars. As well as all that there are other happenings including film screenings, kid’s events, various cooking classes, yoga, foraging, gourmet tastings, whiskey tasting, wine tasting, oyster demonstartion, a farmers’ market and lots more. And on Sunday a Celebrity Live Cook-off when Aidan O’Mahony takes on Michael Healy-Rae!